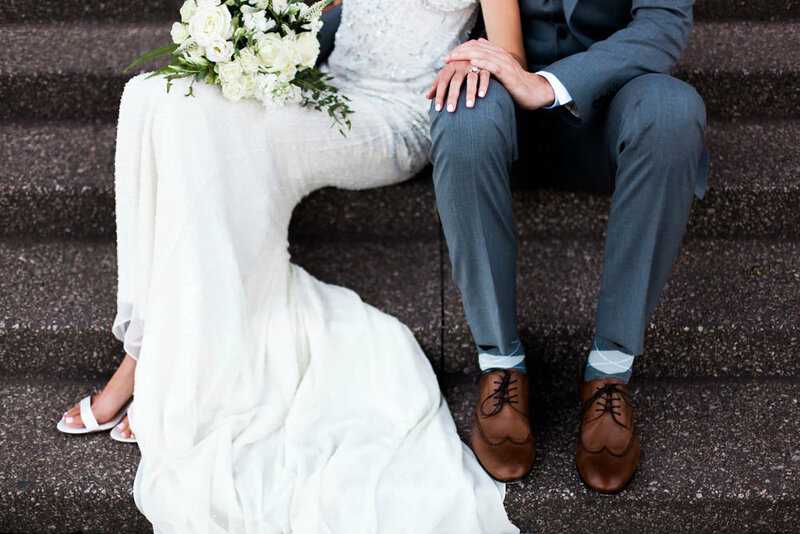 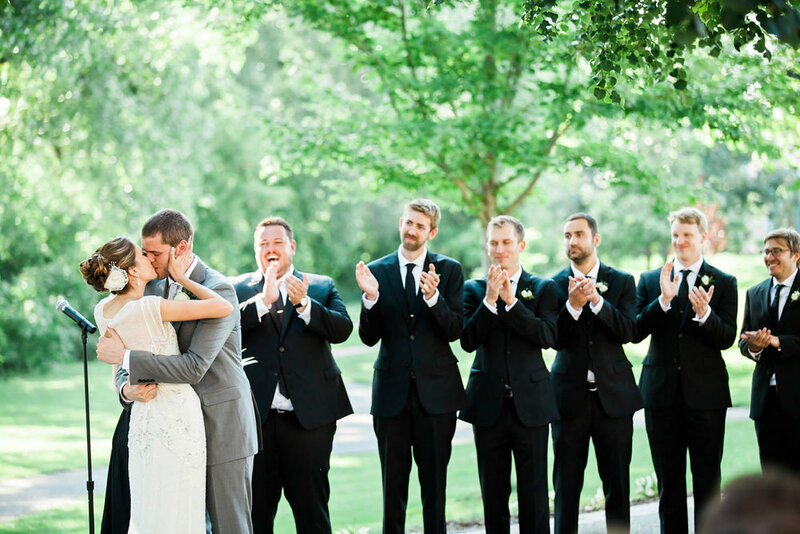 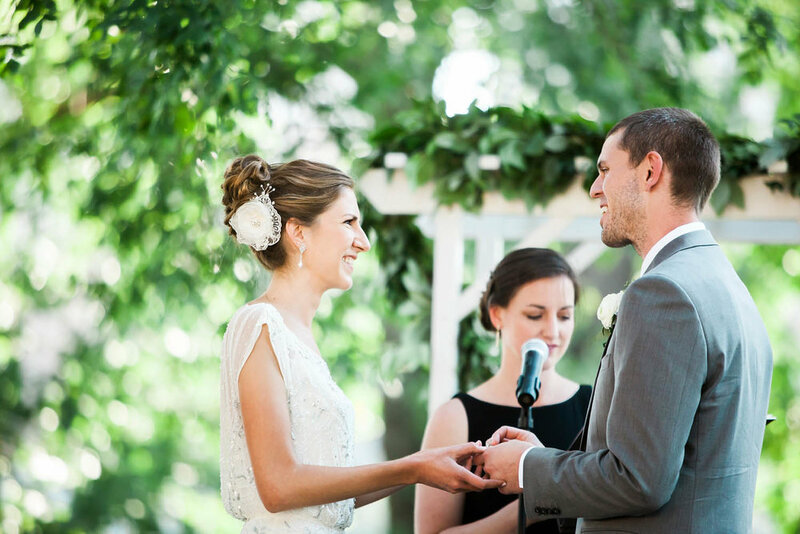 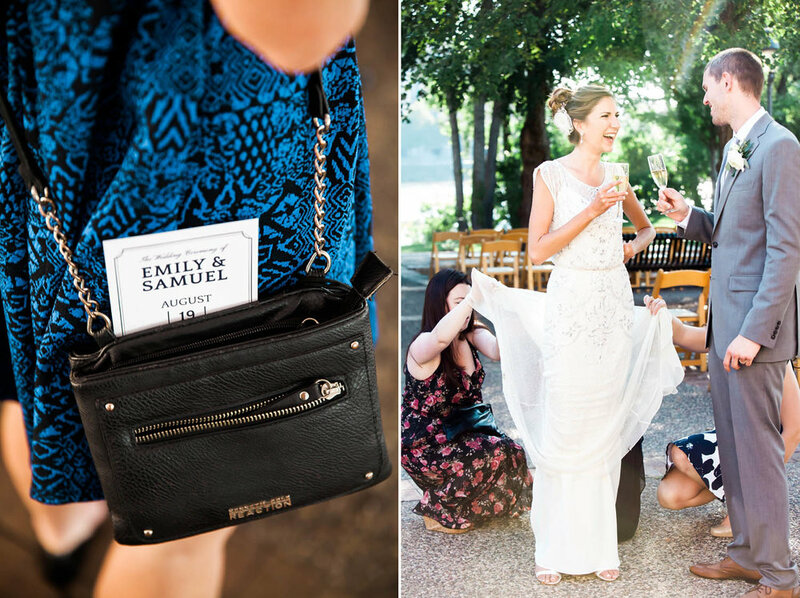 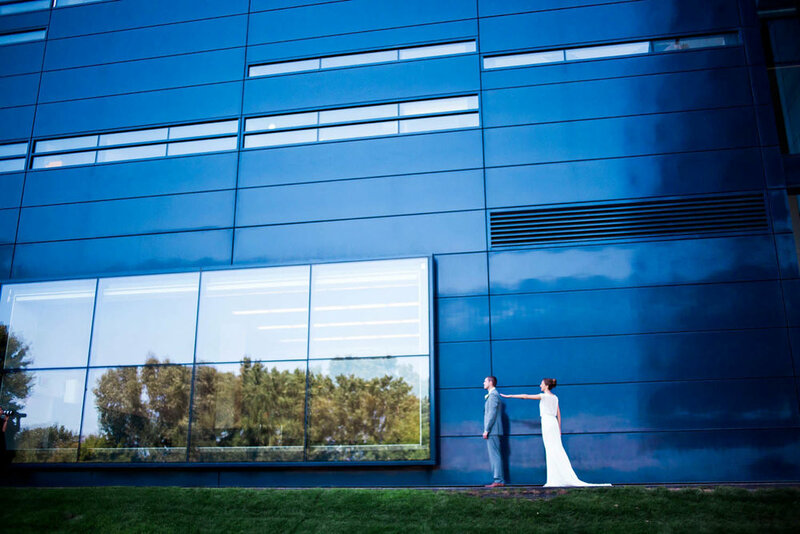 Emily + Samm traveled all the way from London to celebrate their marriage in Minnesota! 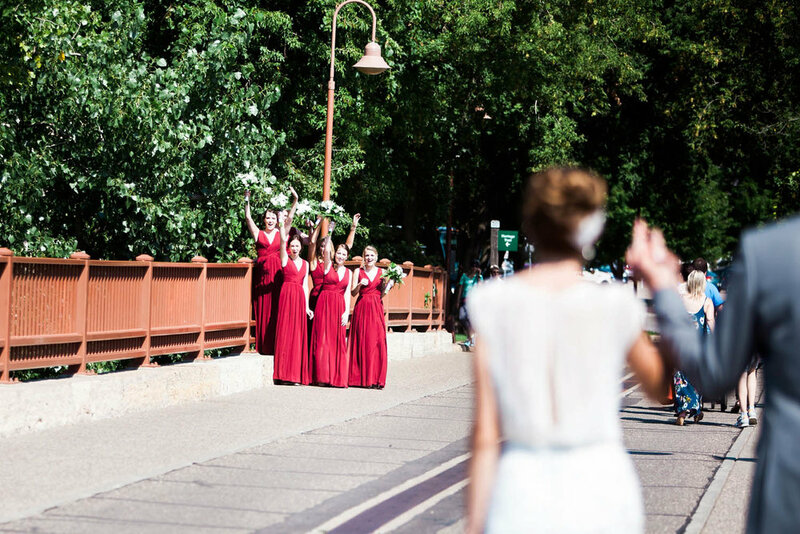 And their epic day begin with an iconic first look outside of the Guthrie Theater and a stroll across the Stone Arch Bridge to meet their wedding party. 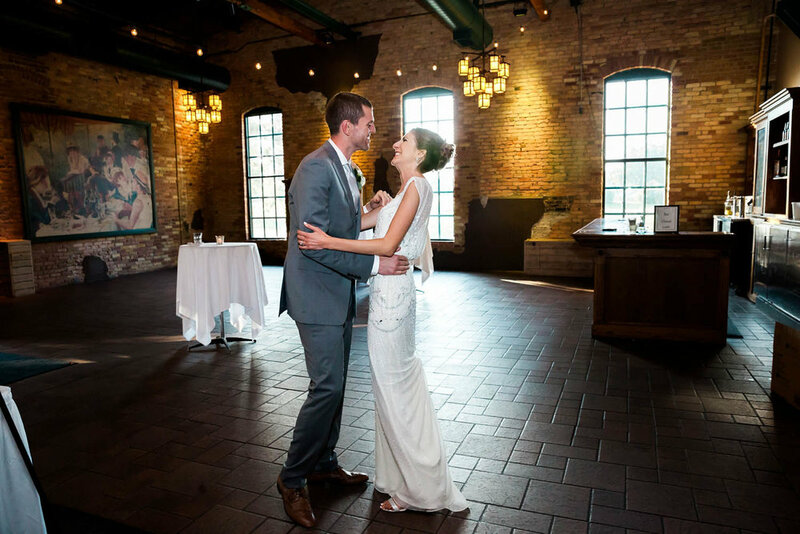 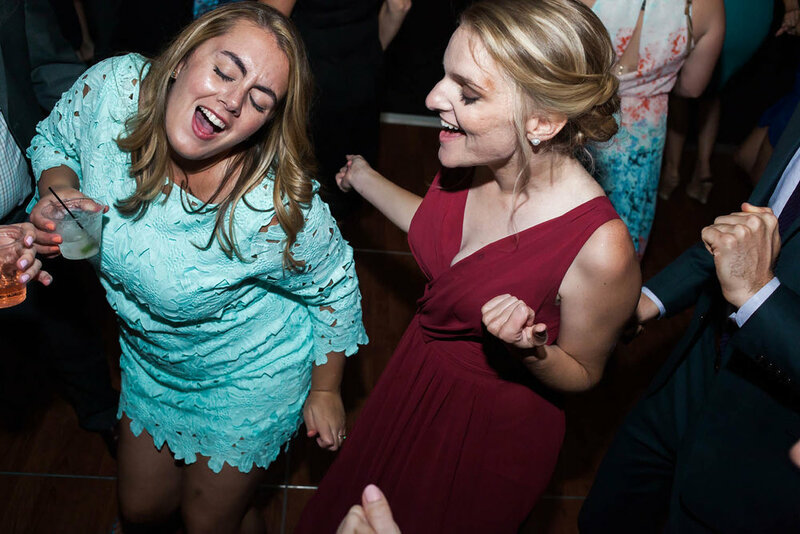 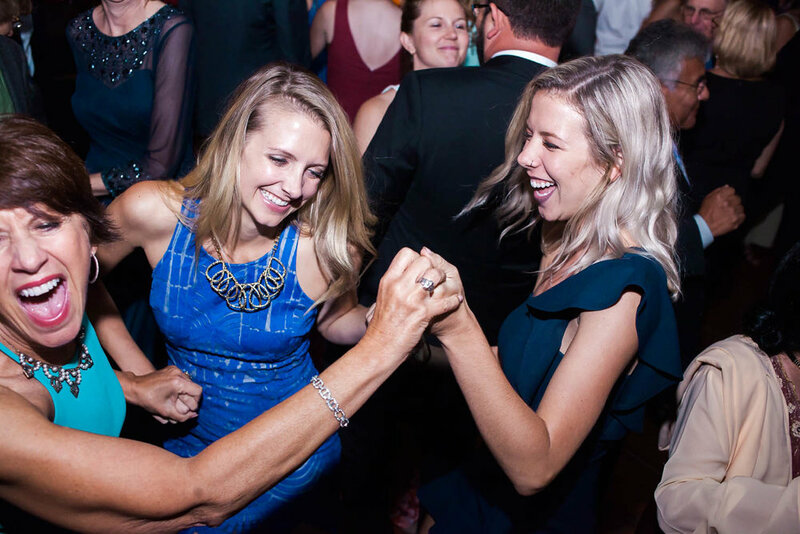 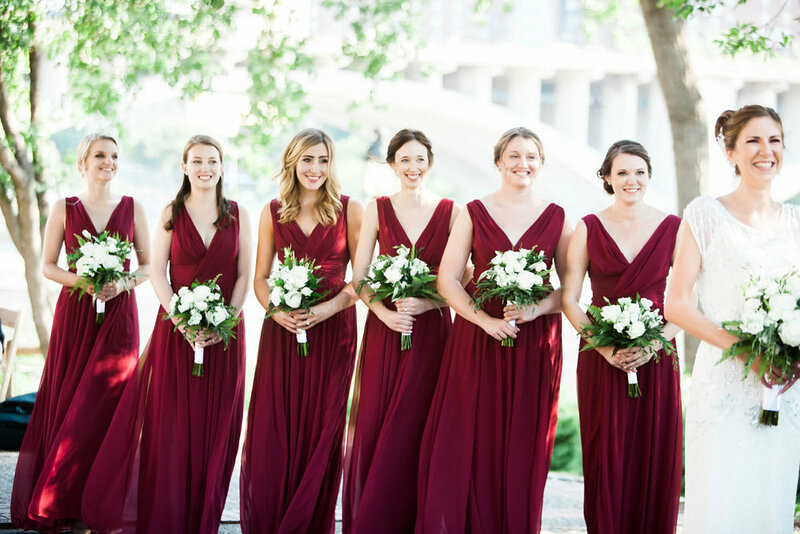 With a gorgeous ceremony along the riverbanks of Nicollet Island, stunning views of of downtown Minneapolis, and a party in the historic mill pavilion, they certainly gave their guests an experience of a lifetime! 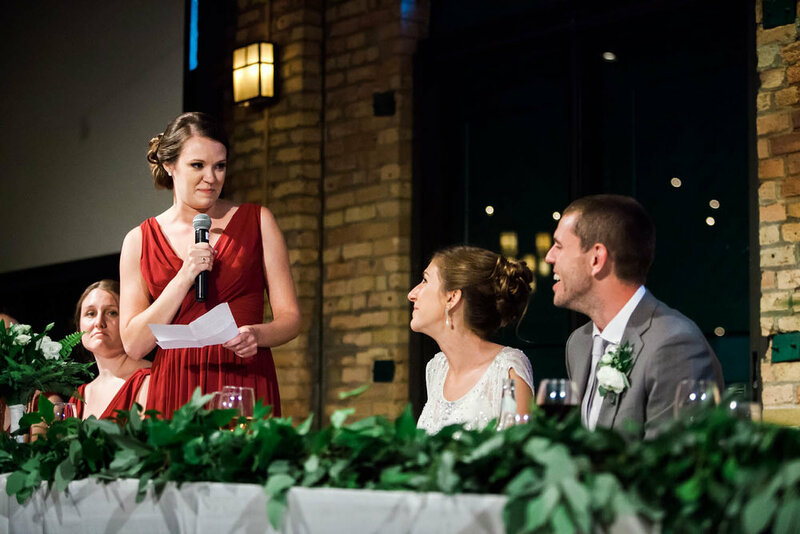 The travel theme was carried through with a beautifully designed map/seating chart of all the places they had visited together and their guest book was a classic globe. 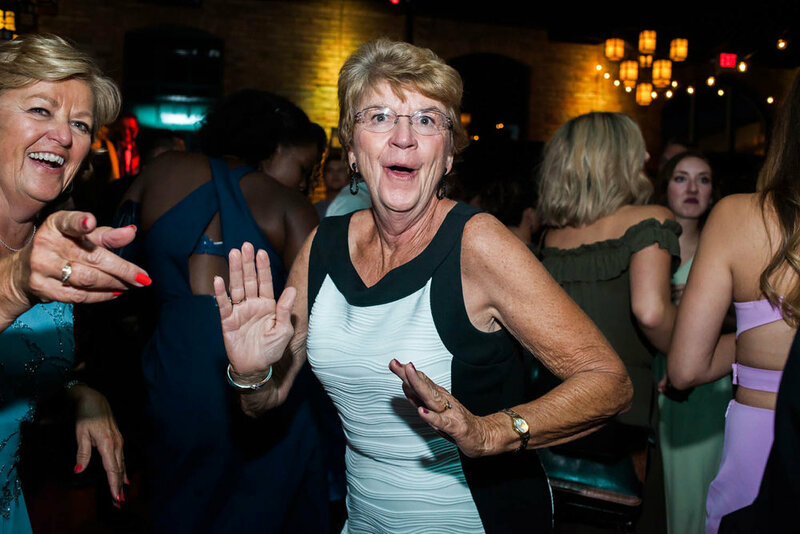 And because it was Summer in Minnesota, dessert was of course an ice cream bar! 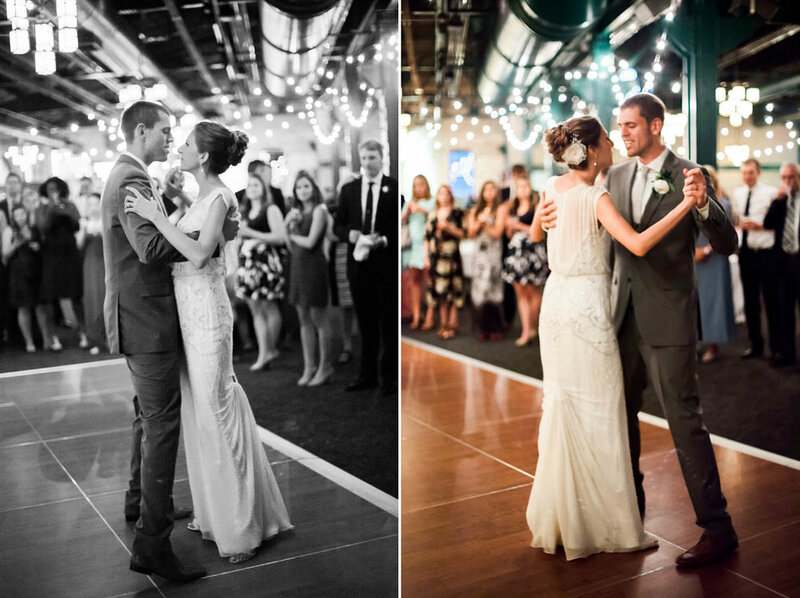 The Bride and Groom waltzed a romantic first dance and everyone enjoyed the live band into the evening. 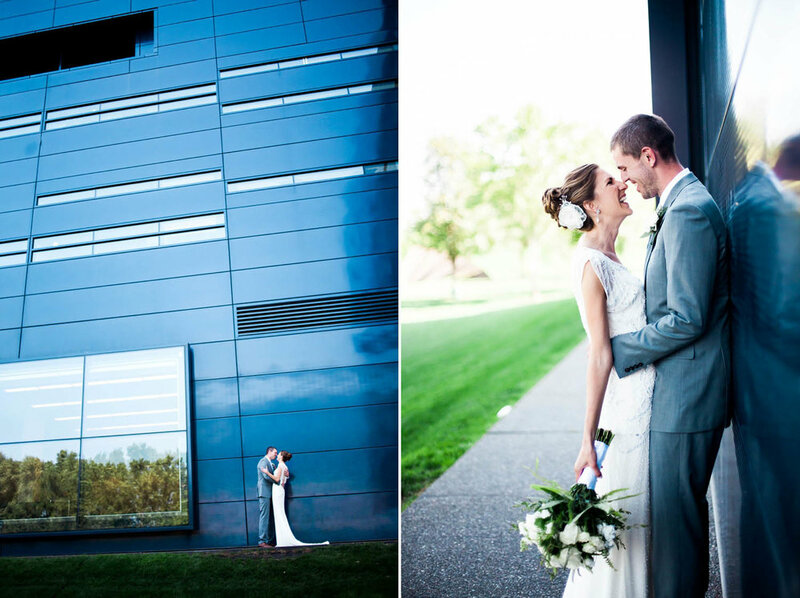 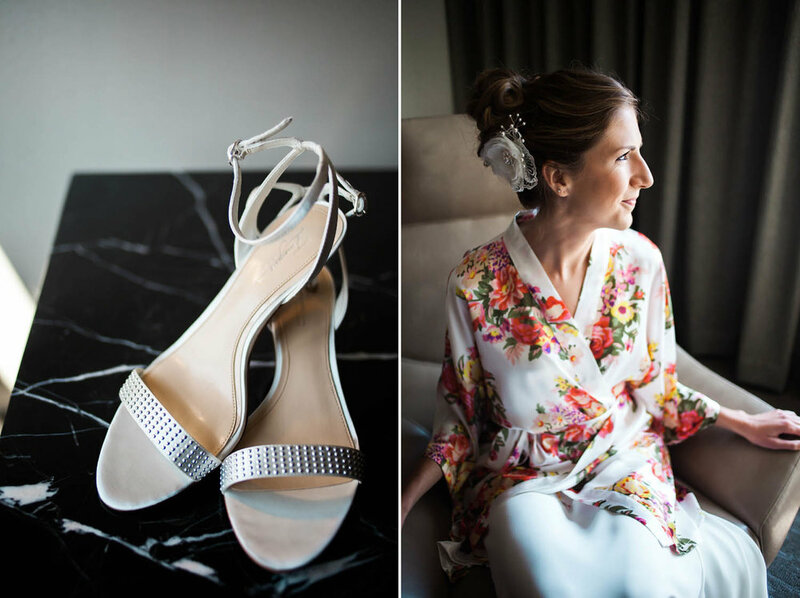 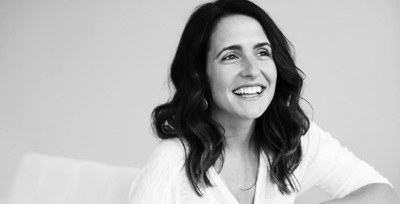 Thank you, Emily + Samm, for the loveliest day!